shared a deep commitment to the telling of traditional stories, and who wanted to spread the pleasures of storytelling throughout Essex. 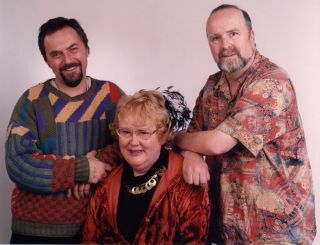 As commitments became heavier the full-time tellers have been Carl Merry, Andy Jennings and Jan Williams, occasionally joined by friends for special projects. Storytelling has taken them to various venues and events. The Essex Book Festival, The Tendring Show, Layer Marney Towers, Ely Cathedral, Theatres across East Anglia, museums and schools and many more places have enjoyed their unique style of storytelling. commissioned by Maldon Town, led to projects based on the local history of Essex. The "Islands of Essex" and "Tales Across the Colne" projects involved historical research at various sites and the interweaving of history and folk tales to produce storytelling performances based on their discoveries. These took the form of storywalks, adult tellings and sessions for children. More recently their “Scratching The Surface” and “A Green Mist Rising” adult tellings have been very well received wherever they performed. Essex Storytellers came together in 1993. 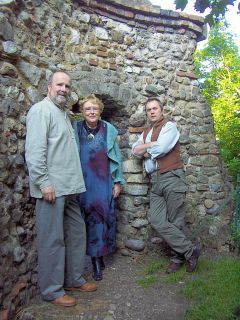 At present they comprise three storytellers, Jan Williams, Carl Merry and Andy Jennings. Essex Storytellers perform for children, families and adults. Our repertoire ranges from the homely fireside and folk tales to larger and more complex legends. Our projects based on aspects of the history of Essex are always well researched and prepared. Storywalks, workshops, small and larger scale performances have all been a part of our work for many years.